The names of God give us a glimpse into His character. They teach us more about who He is. The Bible declares that God is at work in the world and in the lives of those who believe in Him. His names illustrate that work in us. 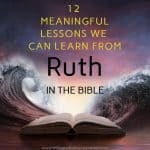 Over the past few years I’ve written many posts about the Hebrew names of God and their meanings. 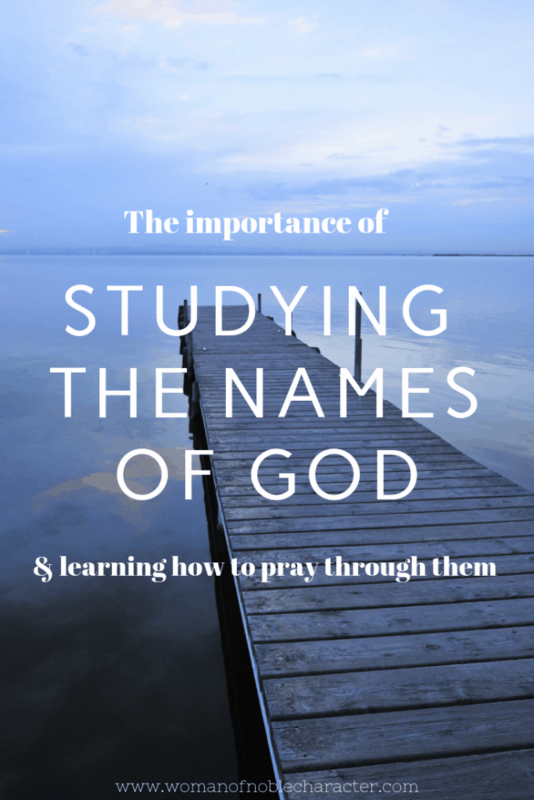 In this post, I hope to share more with you about the names of God and why we should study them. 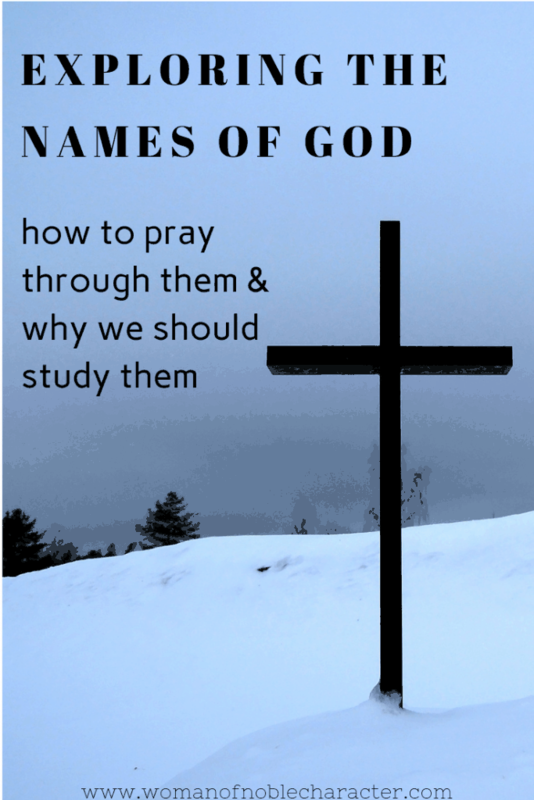 As well as how to pray the names of God. First, let’s take a look at some of the different names of God. The Lord Most High. The One in charge. First found in Genesis 15:2 and is used 434 times in the Bible. Because the Jews have a tradition of not pronouncing nor spelling out the promised proper name of God they often would use Adonai instead of YHWH. Adonai means Lord, Master, or Owner. This name emphasizes that God is in charge of his creation and his people, Lord of lords. Adonai is the shorter version of His royal title. It expresses His majesty, respect, and authority. In English translated Bibles, it is normally translated as Lord and often combined with Yahweh to refer to God as Lord God. 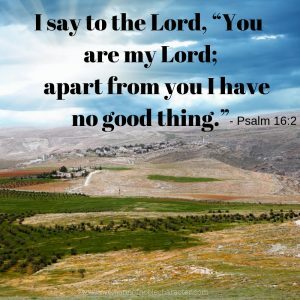 Adonai describes God as the One who is in charge of all things. Is God the boss in your life? It’s easy to say that God is in control, but often our actions or words do not match up with that statement. God, Adonai, must be our ultimate authority. We (and I’m talking me!) need to let him be in charge of our life – in all things, all hours, all ways. Some Bible verses featuring Adonai as a name of God: Deuteronomy 10:1, Psalm 16:2, Isaiah 45:22, Romans 14:7-9, 1 Corinthians 6:19-20, Revelation 5:9-10. 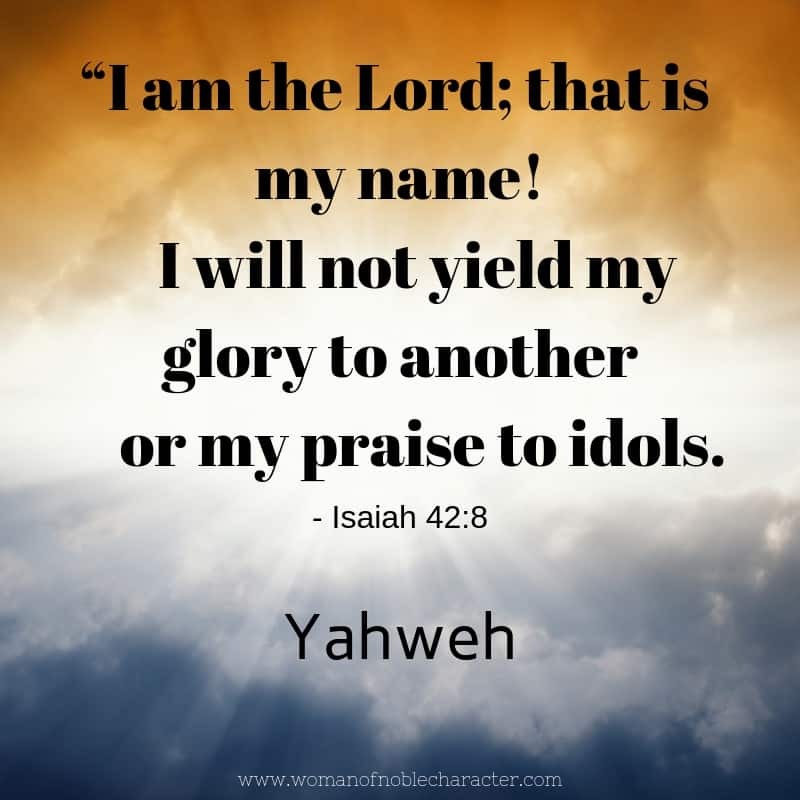 Yahweh means “The Lord” – Yahweh is derived from the Hebrew word for “I AM. First found in Genesis 2:4 and is used 6519 times in the Bible! Yahweh is the proper name of God. It is translated as Lord and Master. By Jewish tradition this name is too holy to pronounce or write. Instead of writing it out, then, they simply wrote four letters without any vowels: YHWH. I find it fascinating that Jews stopped saying the name all together in the third century. They were afraid of breaking the fourth commandment – taking the Lord’s name in vain. Some Bible verses featuring Yahweh as the name of God: Exodus 3:13-15, Genesis 2:4, Psalm 19:7, Isaiah 42:8, Jeremiah 23:6. (For more on Yahweh, see this post). Rô’eh from which Raah derived, means “shepherd” in Hebrew. 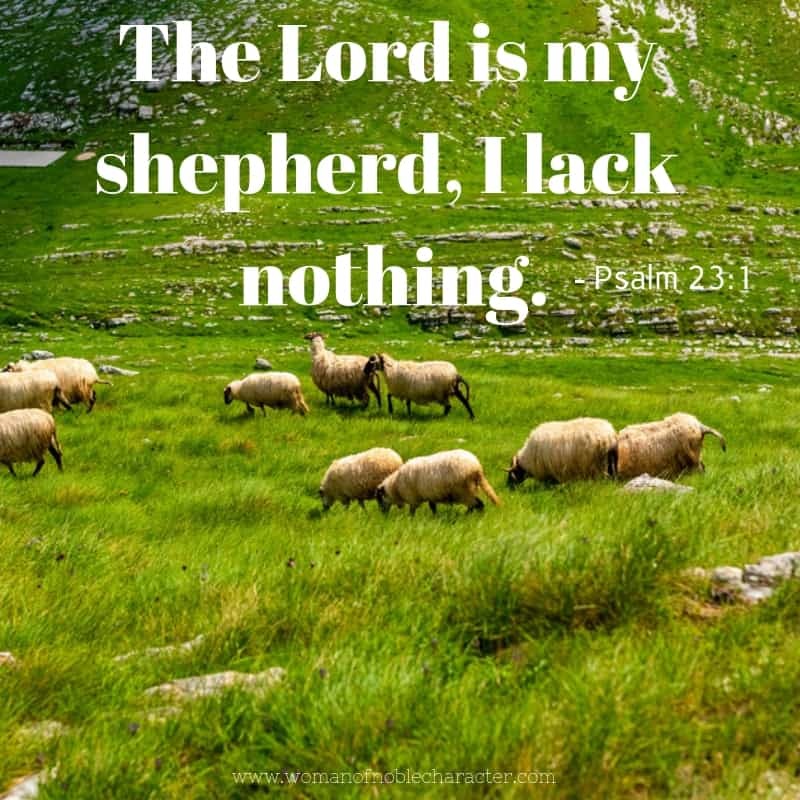 A shepherd is one who feeds or leads his flock to pasture. An extended translation of this word, rea’, which means “friend” or “companion.” This shows the intimacy that God desires between Himself and His people. When the two words are combined – Jehovah Raah – it can be translated as “The Lord my Friend.” Is that not one of the most beautiful and comforting things to hear and know? God is my shepherd, my friend. He cares for me. Bible verses with Jehovah Rohi: Psalms 23:1, Psalms 80:1, Isaiah 40:10-11, Ezekiel 34:11-12, Psalms 100:3, 1 Peter 2:25. (For a deeper look at Jehovah Rohi, see this post). Want to Study the Birds in the Bible? My FREE Bible Study Worksheets can help you! 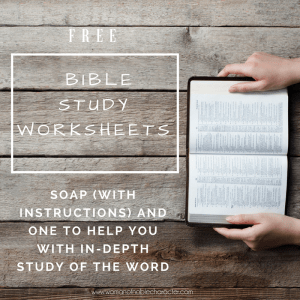 My FREE SOAP study worksheet with instructions AND FREE in-depth Bible verse worksheet can help you dig deeper to understand and apply His Word. Grab it below. First appears in Genesis 1:1 and is used 2599 times in the Bible. This is the very first name given to God and is found in the very first verse of the entire Bible. This name denotes that God is the creator and majestic ruler over all. Elohim is actually the plural word and it shows that He is above all other gods. Some Bible verses using Jehovah Elohim: Genesis 1:1, Psalm 95:1-7, Psalm 146:5-6, Isaiah 40:25-29, Isaiah 54:5, Colossians 1:15-19. When Isaac inquired to Abraham where the lamb was for the sacrifice, Abraham responded that the Lord would provide. 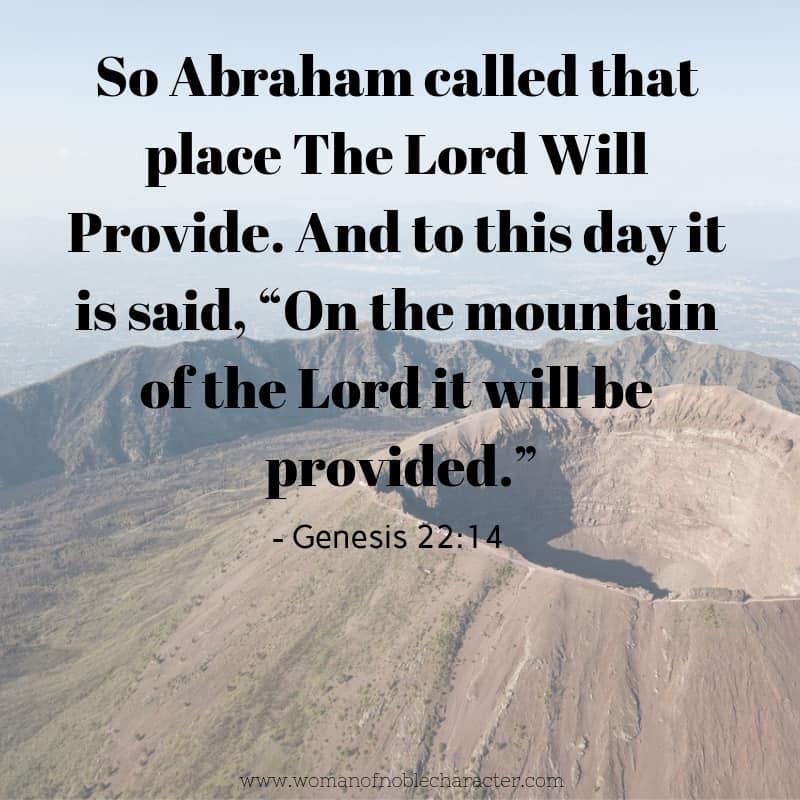 After God provided the ram for the sacrifice (as He promised and God always delivers on a promise) Abraham named that place on Mount Moriah Jehovah Jireh, meaning The Lord Will Provide. God always provides for us. Not always in the way or time that we want, but He always does. Jireh comes from the root word “to see,”. God sees and has always seen. He forsaw our need of redemption and provided for us by giving His son to die on the cross. This name of God, proves that God is willing and able to meet every need of His people. While this name of God appears in this form, just once, some related verses can be found in: Genesis 22:8, 13-14, Acts 14:17, Romans 8:32, 2 Corinthians 9:8, Philippians 4:19, 1 Timothy 6:17. (For more on Jehovah Jireh and my own story on how God has provided, see this post). Rapha is translated as “to heal” or make healthful. 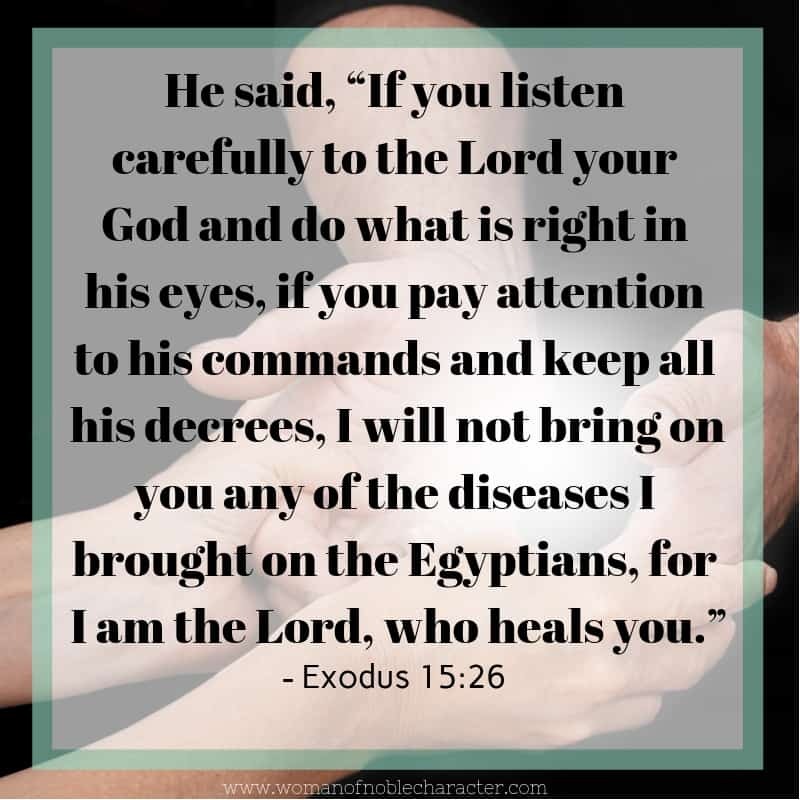 God is the Great Physician who heals his people. He heals our bodies, but more importantly, He heals and restores our spirits and souls. God has healed me from colon cancer, but more importantly, He has healed me from my past sin and life without Him. (For a closer look at Jehovah Rapha, see this post). Father – This is the “Distinguished title” of God in the New Testament. Found in scripture only three times, in the passages of Romans 8:15, Mark 14:36, and Galatians 4:6. Only two speakers use this term to refer to God: Jesus and the apostle Paul. That fact is telling in the relationship that both Jesus and Paul have with God and what both represent in the Christian faith. A few Bible verses which are related to this name of God include: Matthew 6:9-10, John 10:27-30, John 14:6-11, Romans 8:15-16, 2 Corinthians 6:18, 1 John 3:1-3. (To learn more about the name of God, Abba, see this post). Shalom means peace or without strife. When life throws you conflict and difficult times, remember that you can find peace in the arms of God. A few Bible verses related to Jehovah Shalom: Romans 5:1, Judges 6:22-24, Isaiah 9:6, Isaiah 26:3-4, John 14:27, Ephesians 2:14-18, Colossians 1:19-20. (For more on Jehovah Shalom, see this post). God is our banner (which represents victory). Nissi is translated as flag or banner. God is our banner and victory. He gives us hope and a future, and fights our battles. I love this song Surrounded by Michael W. Smith. In it, we are reminded that it is God Who fights our battles and gives us victory. Some Bible verses related to Jehovah Nissi: Exodus 17:15-16, Psalm 20:5-8, Psalm 60:4, Song of Solomon 2:4, Isaiah 11:10, 1 Corinthians 15:56-57. (For more on Jehovah Nissi, see this post). 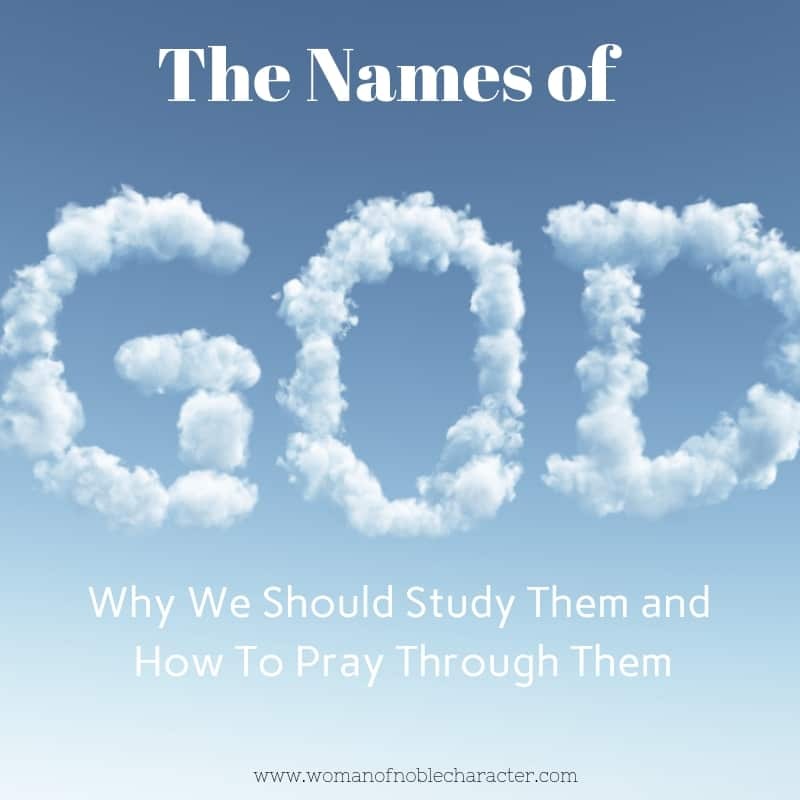 Studying about and praying over the names of God is a meaningful way to learn more about the attributes of God and how each is reflected in how He cares for you. It will breathe new life into your spiritual walk. There’s something so personal and powerful about speaking the names of God in your prayers. Most of us use the same name or names for God when we go before Him such as “God”, “Father”, “Lord” or “Heavenly Father”. By praying to God using different names appearing in scripture can have a huge impact on how you pray and how God answers our prayers. Read through Psalm 23 a few times and write down in your prayer journal all of the ways He promises to care for you. When you are praying for healing for someone or something, pray to God using His name, Jehovah Rapha. Choose on of the names of God to pray over and focus on each day along with any related scripture. You can find three month’s worth of daily prayers through the names of God on my Bible reading and writing plans marked November 2018, December 2018 and January 2019. Journal and pray about about what it means that God is the Creator of the universe. Think about how God created you, knows everything about you, and what His plans are for you. When you are praying for God to meet a need for you or on behalf of someone else, use His name Jehovah Jireh. KNOW that He is the One Who can provide. 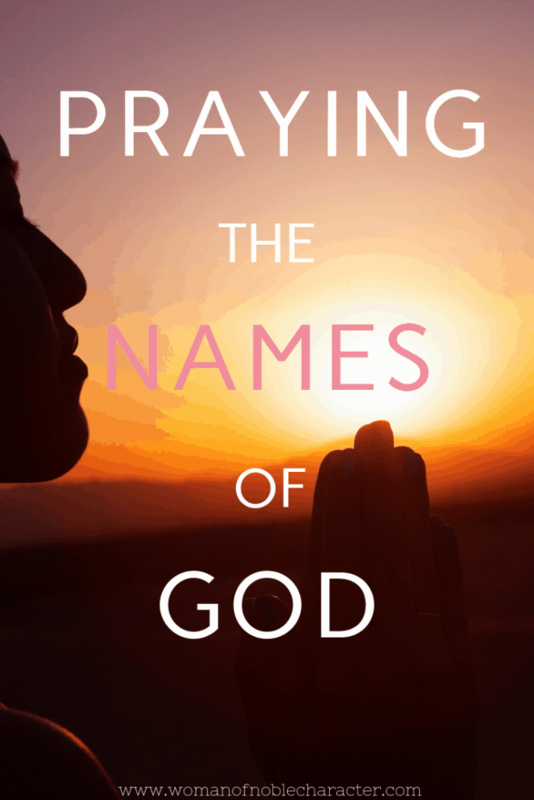 One of the best references that I’ve found on praying the names of God is by Tony Evans, Praying Through the Names of God. In it, he explains many of the names of God and provides a prayer related to each of the names and attributes of God. 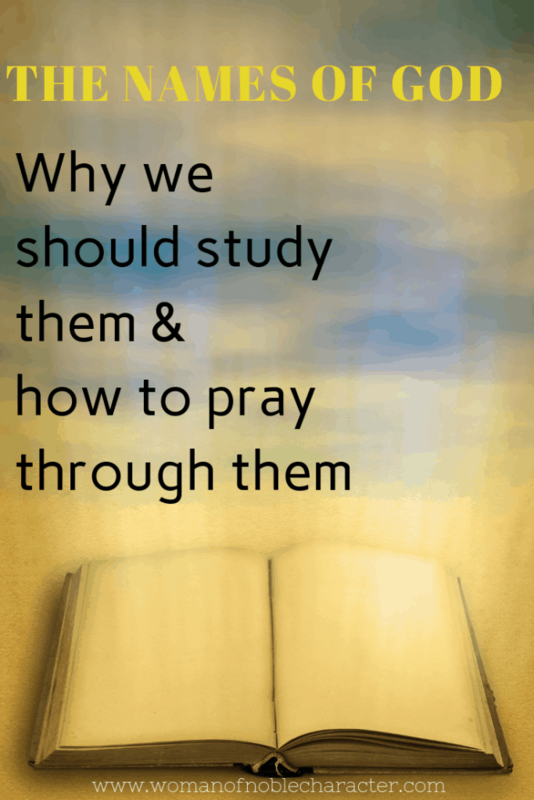 Do you pray through the names of God? Do you enjoy studying them? Which is your favorite? I’d love to hear about it. Tell me in the comments below. 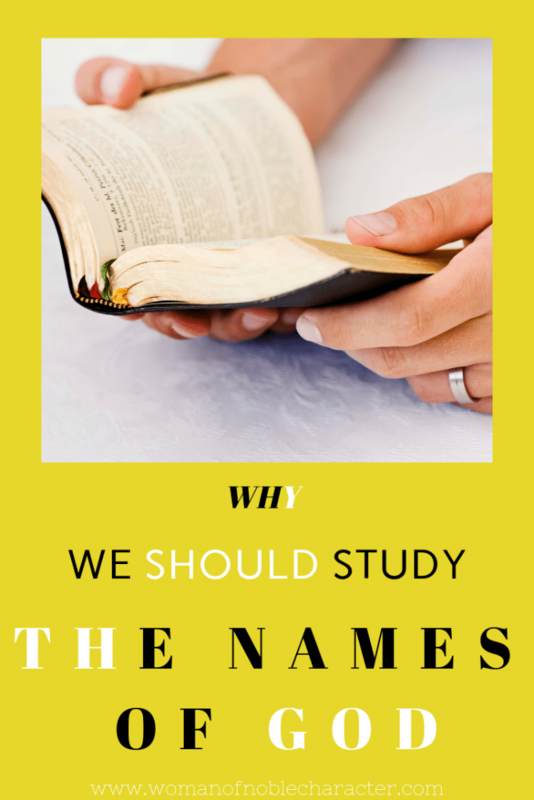 I have written about His names as well, there is power in those names. Glad you were healed but I agree changing a heart or soul even supersedes that. What an awesome in-depth explanation of these precious names of God! Thank you for putting this together. I know it took time and love! you are so very welcome! I truly love to study The Word. Thank you for stopping by! Thank you. I was led to read your wonderful study of our Glorious Gods Majestic Names. I’m currently battling some sort of sickness and have been praying for Gods healing. Jehovah Rapha. Again, many thanks for your study. I’m so glad that you enjoyed the study. I will hold you up in prayer to Jehovah Rapha for complete healing in Jesus’ name! Thank you for stopping by!